2 Ingredient Magic Sand – this you have to make!! We call it MAGIC SAND. …because like magic, there was quiet in the house! We played for hours – both of us. It is so soft, I loved it… but that’s not quite the point… Emma loved it too! How to make Magic Sand? Add the oil and flour to a bowl and mix well! I made half the quantity to start but quickly made more! I also used lavender scented baby oil… mmmmmmmmm. Then we added the magic!! The texture is soft and moldable, it smells great. If you would like to play with magic sand but are still little and are a bit worried that it might end up in the mouth – then here is our recipe for Edible Magic Sand. 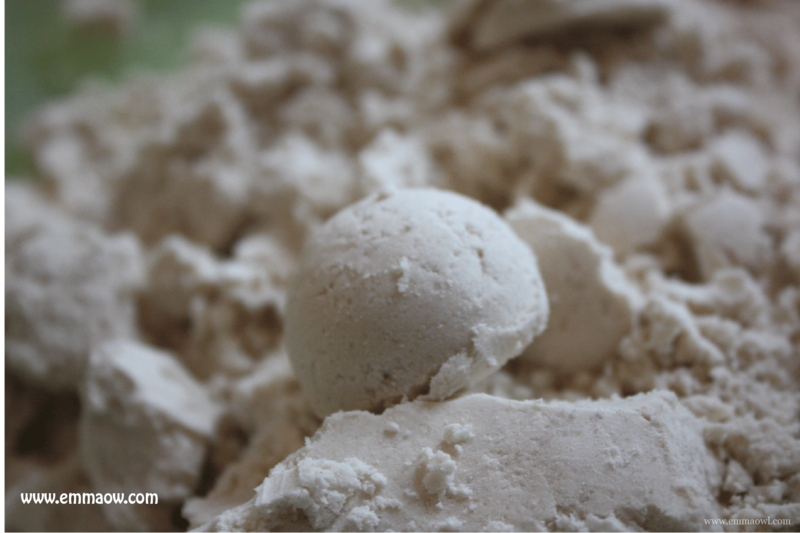 Do you use all purpose flour or self-rising flour? Nope, I just keep it in a cool cupboard. Does this stuff last a long time without going bad?